Develop engaging courses for training your channel partners with ProProfs LMS that supports more than 70 languages. Get access to over 100 themes and add your company logo and brand messages to give a personalized experience. 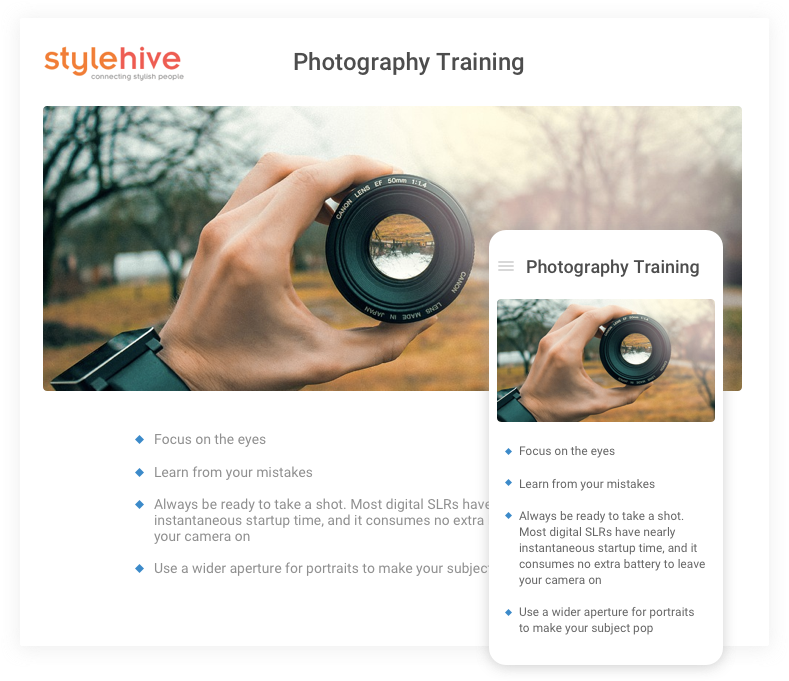 Add images and videos for a delightful learning experience. White-label your courses to create a unique brand identity of your own. 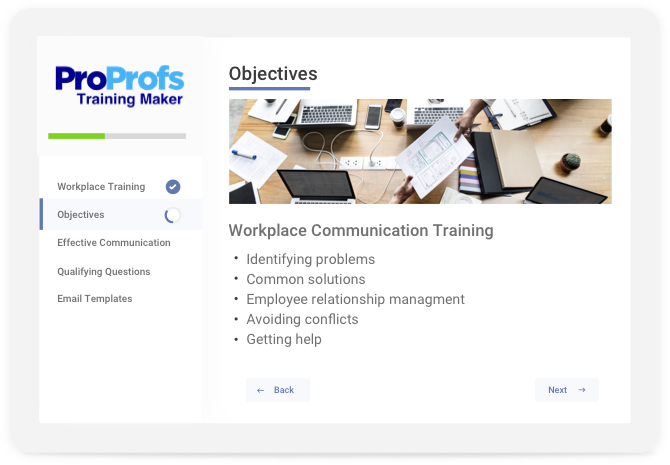 Utilize ProProfs LMS to create different learning environments for your channel partners and facilitate self-paced learning. Put your partners into well-defined teams and groups, and encourage collaborative learning. 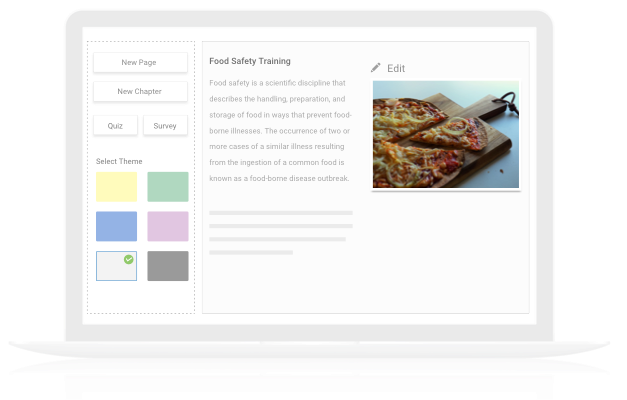 Create training courses for partners specific to their core function areas using different themes and colors. Assign separate access codes to each group. Integrate ProProfs LMS into your existing CRM to avoid re-entering partner data. ProProfs LMS for partner training is accessible from anywhere, anytime. It works effortlessly on any computing device including smartphones, tablets, laptops, and desktop computers. Our user-friendly interface makes navigation across the courses extremely seamless and effortless. You can even configure the security settings to make courses either public or keep them private. Customized and auto-generated reports offer valuable insights into the progress of partner training. 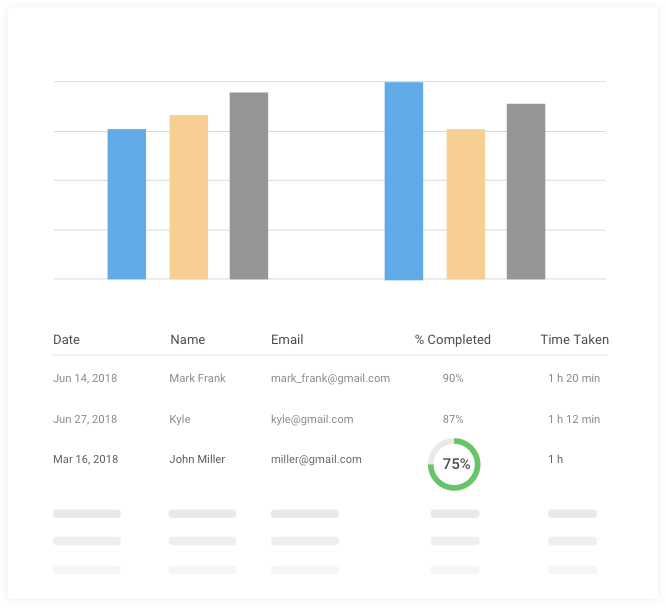 It is easy to track their performance through embedded quizzes and tests. Encourage channel partners to undertake training, and incentivize their performance with certificates. Reports also help identify information gaps in the existing course content for improvement.